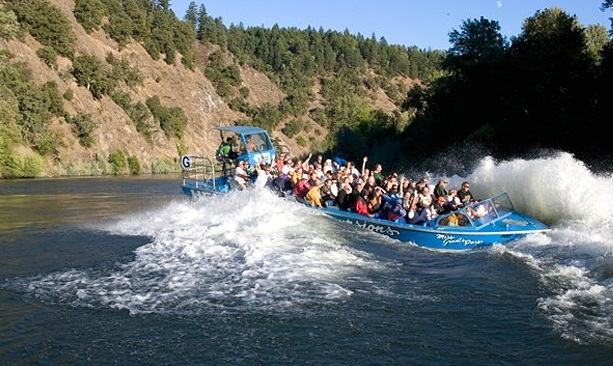 A ride on Hellgate Jet Boat Excursions is one part high-speed hijinks and one part nature cruising. Passengers have front row seats for viewing the wildlife along the river. Tours travel the Wild and Scenic section of the Rogue River that is otherwise only accessible by way of a multi-day raft trip. A ride on Hellgate Jetboat Excursions might be described as the best of opposing worlds — one part high-speed hijinks and one part nature cruising. 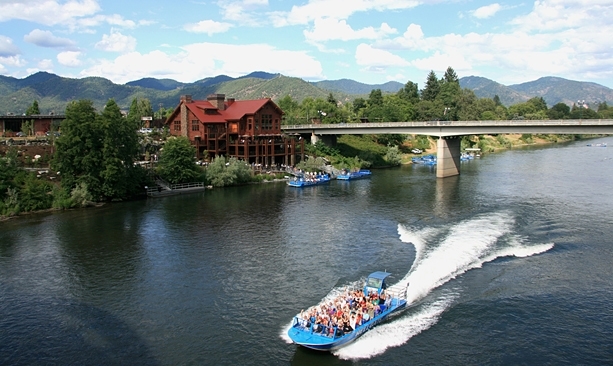 The Grants Pass-based company has been showing visitors a good time on the beautiful Rogue River for more than 50 years in its custom made jetboats that speed along the river in just inches of water. Drivers narrate tours of the historic Hellgate Canyon with bits of history and geology as they navigate through the soaring cliffs. Passengers have front row seats for viewing the wildlife along the river — deer, river otter, osprey, bald eagles and other creatures. And when your driver puts the throttle down to hit the white water, spin a 360 or dunk the bow — hold onto your hat! The “Whitewater” trip is a high-adrenaline journey from Grants Pass to Grave Creek. In five hours and 75 miles you’ll get high-speed action and white-water rapids as well as a stop at Morrison’s Lodge. Hellgate also offers brunch, lunch and dinner trips that run between three and four hours with hearty Western-inspired meals served at the rustic and scenic OK Corral, an old homestead perched high above the river that can only be accessed by boat. “It feels very exclusive. 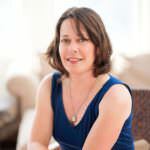 It is a nice spot to stop,” Hamlyn says. The cost of meals is included in the tour price. 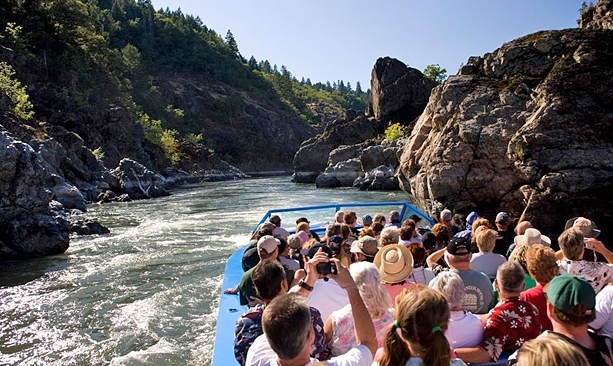 Hellgate Jetboat Excursions are great for family trips and reunions, and many people find themselves returning year after year. (Children under the age of three always ride free.) The tour company is conveniently located in downtown Grants Pass, and its sprawling retail shop is worth a visit in its own right. For more information, visit the Hellgate Jetboat website.